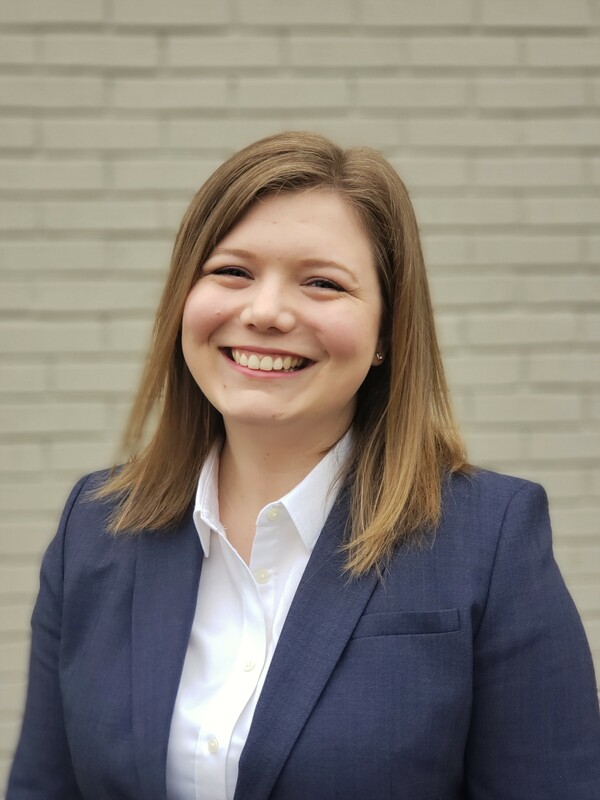 The Patterson Foundation, through a collaboration with the Indiana University Lilly Family School of Philanthropy at IUPUI, has selected Hannah Saeger Karnei as the first emerging nonprofit leader to participate in its Fellows Initiative. The Patterson Foundation’s Fellows Initiative provides graduates of the world’s first school dedicated solely to the study and teaching of philanthropy a year-long opportunity to learn innovative philanthropic principles and share their expertise. Through the exploration of The Patterson Foundation’s initiatives, Saeger Karnei will have high-value assignments in an in-depth curriculum that will afford opportunities to gain experience on an approach to philanthropy that generates lasting change and demonstrates value beyond traditional grants. Saeger Karnei was selected through a competitive application process and will begin her time as a fellow after earning her Master of Arts in Philanthropic Studies degree in May. In addition to receiving a renowned education from the Indiana University Lilly Family School of Philanthropy, she has gained professional philanthropic experience through working as a marketing and development assistant for LifeSmart Youth in Indianapolis, a nonprofit that focuses on empowering youth to make responsible choices and adopt healthy behaviors through a variety of programs. During her time with the organization, she successfully spearheaded its first Giving Tuesday campaign. Supporting and engaging in a variety of initiatives focused on shared aspirations, The Patterson Foundation has worked to strengthen people, organizations and communities since 2010. Through the Fellows Initiative, The Patterson Foundation aspires to build a network of future philanthropic leaders aligned in their innovative approach, which emphasizes sharing homegrown knowledge gained through working in diverse initiatives while creating platforms to learn the latest innovations for generating sustainable impact. As the vanguard of philanthropy education for more than three decades, Indiana University and the Lilly Family School of Philanthropy educate and prepare students and practitioners to be thoughtful, innovative leaders who awaken generosity and inspire change. Students enrolled in its Master of Arts in Philanthropic Studies degree program learn through a combination of in-depth research, study of the history, culture and values of philanthropy and hands-on professional practice in areas such as fundraising, volunteering and civil society. “The Patterson Foundation’s innovative philanthropic strategy is impressive, and our first TPF Fellow will have a terrific career-building experience as part of its team,” said Amir Pasic, Ph.D., the Eugene R. Tempel Dean of the school. “Similarly, The Foundation will benefit from Hannah’s fresh insights and thoughtful creativity. She is a great representative of our school, and she exemplifies the best of the philanthropic sector’s future leaders." Saeger Karnei will work and learn with The Patterson Foundation in Sarasota, Fla. from May 31, 2019 through May 29, 2020. Future graduates of the Indiana University Lilly Family School of Philanthropy’s master’s degree program will be eligible to apply for future cohorts of the Fellows Initiative. For more information on the Indiana University Lilly Family School of Philanthropy and its programs, visit philanthropy.iupui.edu. To learn more about The Patterson Foundation, visit thepattersonfoundation.org. The Patterson Foundation strengthens the efforts of people, organizations and communities. The Foundation focuses on issues that address common aspirations and foster wide participation, along with ways organizations learn and share as they evolve. For more information, please visit http://www.thepattersonfoundation.org and connect with @ThePattersonFdn on Twitter. The Lilly Family School of Philanthropy at IUPUI is dedicated to improving philanthropy to improve the world by training and empowering students and professionals to be innovators and leaders who create positive and lasting change. The school offers a comprehensive approach to philanthropy through its academic, research and international programs and through The Fund Raising School, Lake Institute on Faith & Giving, the Mays Family Institute on Diverse Philanthropy and the Women’s Philanthropy Institute. Follow us on Twitter @IUPhilanthropy or “Like” us on Facebook.